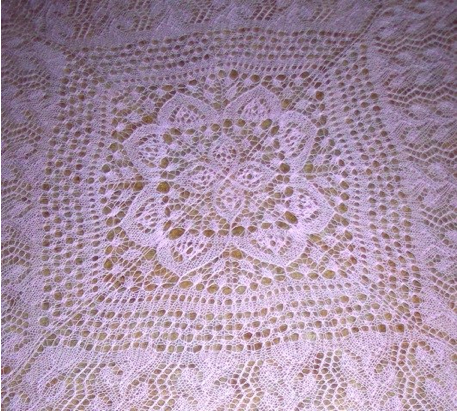 I love to knit lace. Seeing a jumbled mass of tangled yarn transformed into a beautiful work of art with the help of a little water and a lot of pins or some string is an amazing feeling. 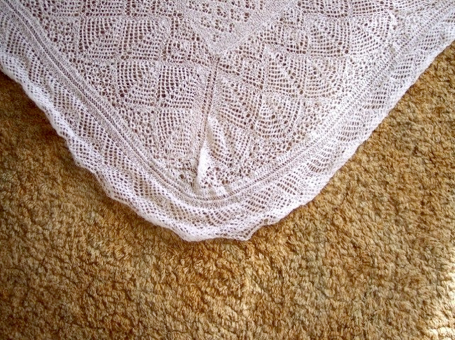 People look at a knitted lace shawl and think, Oh, that must be so difficult to do. 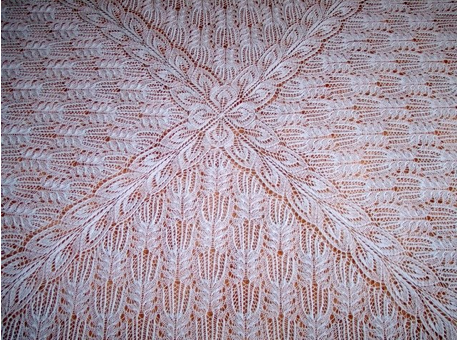 Knitters who have never tried lace knitting look at a knitted lace shawl and say, Oh, I could never do that. Well, here’s knitting’s best kept secret. For the most part, knitting lace patterns isn’t difficult at all. Most lace patterns are made up of knits, purls, yarnovers, single decreases, and double decreases. 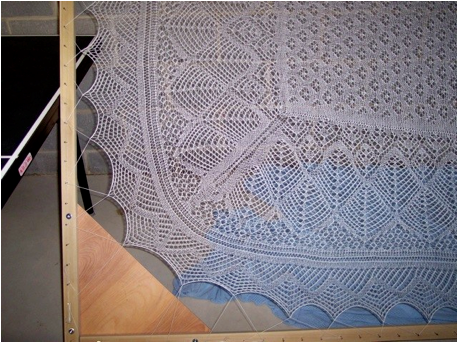 If you can knit and purl, you can knit lace patterns. 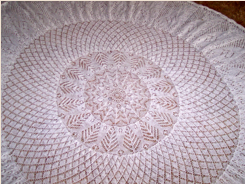 requires a lot of concentration on the rows/rounds that transition from the open work to the solid because the stitches no longer line up in an easily recognizable pattern. But the rest of the time the pattern is quite simple to knit. 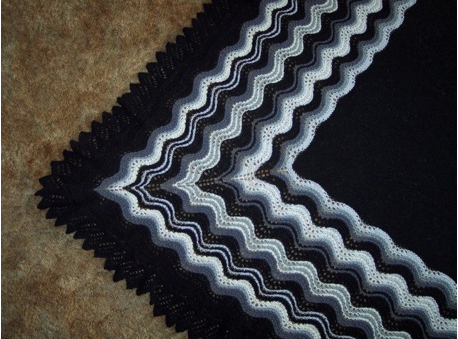 Sometimes simple patterns seem more difficult than they really are because of the construction of the shawl or other item in which they are used. But in the grand scheme of things, knitting a lace scarf or shawl isn’t difficult at all. It just takes a little practice, a lot of stitch markers, and some counting. Once you learn how to “read” your knitting, lace is really very simple. Starting with an easy-to-memorize, easy-to-read pattern such as Old Shell/Old Shale/Feather and Fan can make learning to knit lace patterns much easier. 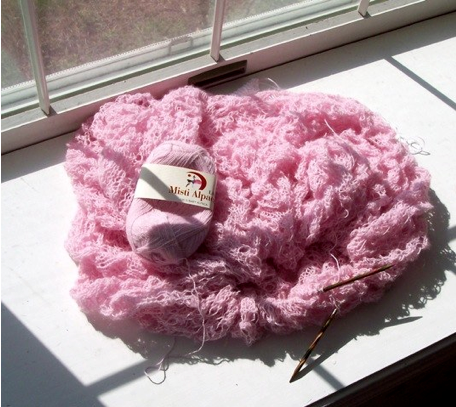 And don’t be fooled by the simplicity of knit, purl, yarnover, and knit 2 together. Simple patterns can look absolutely spectacular. I currently have only one active lace project, my Orkney Pi Shawl. It is nearly finished, but I ran out of yarn. I ordered more yarn, and it arrived today, so this evening I will get back to the Orkney Pi and perhaps get her finished by the end of the week. Then I can do the happy dance.